September is here and the Major League Baseball’s (MLB) regular season will soon be coming to a close. Lest not forget a severe accident that happened almost a year ago at the New York Yankee’s stadium; a toddler was struck in the head by a 105 MPH line-drive foul ball. Thankfully, the little girl is doing rather well, considering the circumstances. In the wake of the incident, there has been a push to create more safety regulations in all MLB parks. In December of 2015, the MLB issued a statement which recommended that each stadium extend the netting that is protecting the fans near the end of the dugouts and within 70 feet of Homeplate. The netting, or some other protective device, is used to shield the fans from erratic foul balls and speeding broken bats. Would this be enough to protect fans? The New York Yankees issued a statement in late 2017, after the September incident, that concluded that the team would install more protective netting around the field for the 2018 season. They explained that all the netting would be supplied by Promats Athletics and would consist of 1.2mm Dyneema fiber Ultracross knotless netting. Aside from the toddler’s injury in 2017 at Yankee Stadium, there have also been many other types of injuries to fans at other MLB parks nationwide. 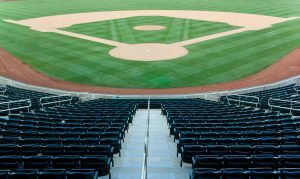 Yes, foul balls and broken bats seem to be the top culprits, however, attendance at sporting events pose other hazards. For example, in May of 2017, a man plunged to his death at Wrigley Field after falling over a railing and landing on his head. Also, just as of late July, a fan was hit by a foot long, metal score tile at Wrigley Field. In the wake of prominent injuries at MLB fields, MLB and its teams should be doing more to address safety issues at its facilities. If you or a loved one have been injured due to intentional action or negligence of another, contact an experienced New York premises liability and personal injury attorney. The attorneys at Levine & Slavit, PLLC have over 50 years of experience representing clients in personal injury actions. With offices conveniently located in Manhattan and Long Island, Levine & Slavit, PLLC represents clients throughout New York City and both Nassau and Suffolk counties. For more information and to schedule a consultation, call (888) LAW-8088.